Our headquarters in Eveleth, Minnesota since 1991. As a recognized leader in the snowmobiling performance industry, TeamFAST, Inc., has delivered high quality, customized industry-defining suspensions for over 30 years. 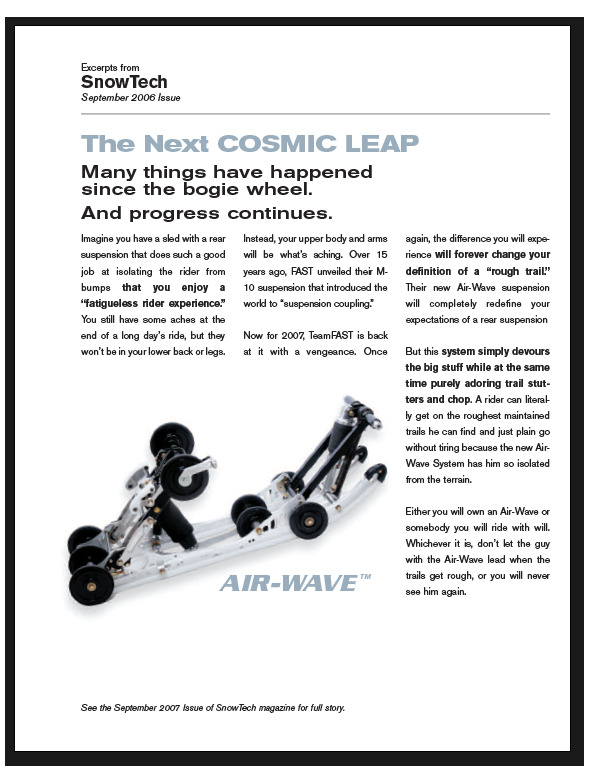 Featuring our Airwave technology with excerpts from SnowTech Sept. 2006 issue. TeamFAST's Airwave Suspension Delivers An Amazing Ride with excerpts from SnowGoer magazine. Featuring Airwave Suspension from TeamFAST and AIRlink with excerpts from SuperTrax.